When the villains in the Disney rides begin to come to life at night, stealing and ruining the park, Disney has to do something. The problem? The villains are invisible to the average human. They solve this problem by creative DHIs (Disney Host Interactive), real life children who they turn into holograms to give tours of Disney World. 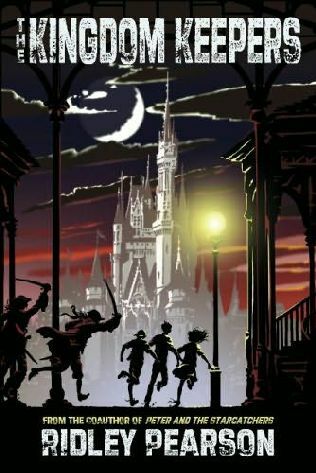 Since these kids are technically now an attraction, when they go to sleep at night they appear in the park to fight the villains. 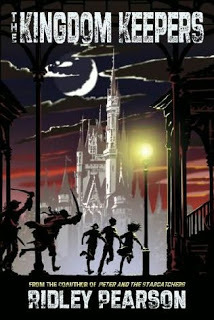 It turns into a modern fight against the pirates from the Pirates of the Caribbean ride and Maleficent. I loved the concept of this book. My parents are huge Disney fans and passed that love of all things Disney down to us. It was magical, since I have been to Disney World to hear about things I could actually picture in my head. I didn’t really love most of the characters in this book however. Even though they are supposed to be these awesome kids that were hand picked to be the DHIs sometimes they really lacked intelligence. I did love seeing modern day battles between the DHIs and the pirates from the ride. I loved when they were attacked by the ‘It’s a Small World’ dolls and other fun references to the rides. It really brought Disney to life on the pages in front of you. One thing I most hated about this book? It kind of ends abruptly. You want more and aren’t given any. There are two sequels, so I guess I will have to read them to see if they give the more that I felt I needed at the end of the book. It is a good book, it seems to be written for the tweener and early teen age, but if you like Disney, this is definitely worth the read.